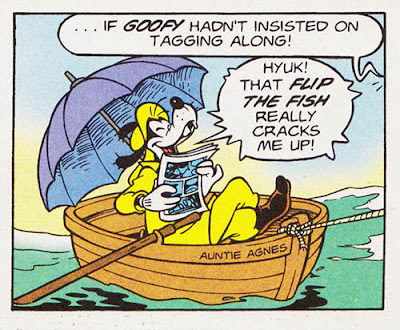 Disney Comics Randomness: Mickey Mouse in Night of the Living Text! 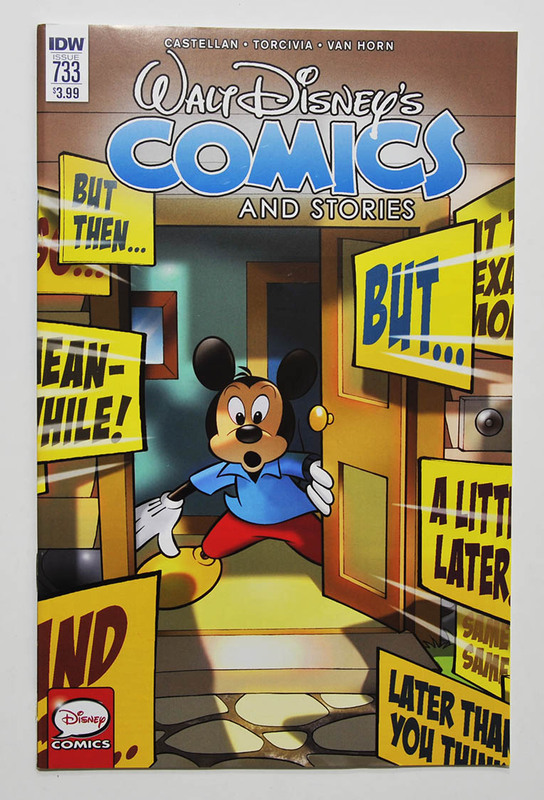 If you are a Mickey Mouse or Casty fan, you should go and get this week’s issue of Walt Disney’s Comics and Stories! 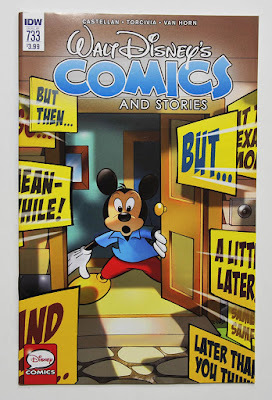 While IDW’s regular Mickey-title is on a four-month hiatus and Mickey Mouse Shorts: Season One is being published instead – we still get a great Mickey-story in WDC&S. Night of the Living Text! 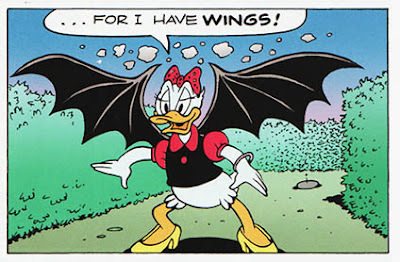 is one of the weirdest Mickey-stories I’ve ever read and who other than Casty could come up with this? The story starts with Goofy trying to organize his comic collection ...in a room that looks almost like the one I’m sitting in right now. So I can relate to his problems! We also get to know some of Goofy’s favorite titles. But where is Flip the Fish, Goofy’s all-time favorite comic title? After Byron Erickson’s Fantasy Island in the mid 90’s we saw Flip the Fish in a lot of cameo appearances in Egmont stories. I suspect the reason is that the story might have been used as a guide for writers and artists at the time – as we got a change of style in "Egmont Mickey" back then. From "Fantasy Island" by Byron Erickson and drawn by Ferioli. 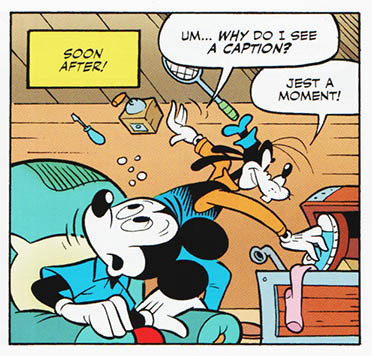 But back to Night of the Living Text; after Mickey start seeing captions, the story go crazy. Are they living in a comic book story or what? And how do they get rid of those annoying captions? Even Pete goes a bit coocoo, with Goofy and Mickey trying to keep up. It’s the weirdest Mickey-story I’ve read in a long time – and definitively worth checking out. And if that isn’t enough craziness for one issue, we also got one of William Van Horn’s strangest stories in WDC&S #733. In Swallowed Whole we have Donald riding a pie while an octopus spray whipped cream in his face – and Daisy have wings. On an Italian forum I read that Night of the Living Text is a remake of a story Casty did for the Italian Cattivik comic in 2001. I’ve been trying to find out what issue this story is in without luck. If the story was published in 2001 I guess it’s printed in one of Cattivik #135 to 146. If anyone knows, please tell! Oh yeah, I remember this Story! Absoloutely great!